Summer is officially here and that is the time when kids are free from the worries of school for a brief few months before having to go back to what is in every kid’s mind legalized child slavery/prison. Unfortunately, adults don’t get to take this same break, and so often need to figure out how to keep their children occupied while they still have to go to work every day. One common solution to this problem is the institution of summer camps. Every summer kids travel in droves to different summer camps, be they day or sleep-away, a themed camp, or just a regular old, generic summer camp set up in the middle of the great outdoors. Of course, that is one aspect about children going to camp that parents also have to consider; the dangers that may await them when they get there. Along with the swimming, arts and crafts, roasting marshmallows, and other fun activities provided at summer camps also comes the less obvious danger of the natural environment they will be staying in. The entire country is suffering from the threat of ticks and mosquitos this summer, so why should summer camps be any different? More than 1,600 summer camps part of the American Camp Association open their doors to bored children everywhere, and one third of those camps are in states where getting Lyme disease from an infected tick is becoming a bigger and bigger problem. Not just parents are taking this seriously, however, as many of the adults that own and run camps are also extremely concerned. Lauren Rutkowski, along with her husband Joel, owns Indian Head Camp for children in Equinunk, Pennsylvania, which hosts around 650 children every summer. Lyme disease has already been a big problem for the camp. Since the summer of 2010, around seven to eight campers get tick bites at Indian Head, with three to four of them actually contracting Lyme disease. Her son was bitten by a tick in 2014, but while he did not contract the illness, the scare made Rutkowski take action against those ticks and mosquitos. She now uses the services of Ivy Oaks Analytics, a service that fights against ticks, spraying the perimeter of the camp with pesticides, and giving advice about how to get rid of the habitats where ticks actually breed to help better control the tick population. Isaiah Ham started the company after he had a similar experience, with one of his campers contracting Lyme disease after being bitten by a tick while he was a camp counselor in college. 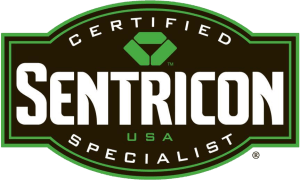 Has your child or the child of someone you know ever contracted a disease from a tick or mosquito bite while at summer camp? The threat of tick-borne disease is a major issue in America. Ticks are an even greater public health risk to Americans than mosquitoes. 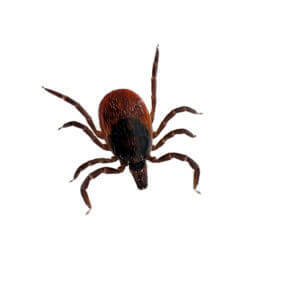 The dangers that ticks pose to humans and other animals should not be lost on any Americans today, as tick-related events are frequently reported in the news. 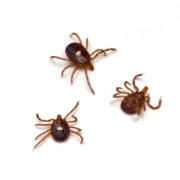 When it comes to ticks and the diseases that they carry, most people worry about lyme disease the most. This is understandable given the fact that lyme disease is easily the most common tick-borne disease in America, and lyme disease rates are increasing dramatically. However, lyme disease is not the only tick-borne disease to fear, as one mother from Mississippi is trying to make clear. Jessica Griffin recently learned that her daughter, Kailyn, contracted tick paralysis. Now Griffin is trying to alert other parents about the threat of tick paralysis, and how young children are much more likely than adults to contract the disease. Not long ago, Kailyn Griffin woke up in the middle of the night and was barely able to speak. Kailyn’s concerned mother immediately rushed her to the emergency room where CT scans and blood tests confirmed that Kailyn had contracted tick paralysis. Kailyn was hospitalized under observation for a period of time, but her condition seemed to worsen after she lost the ability to walk. Luckily, with aggressive medical treatments, Kailyn’s symptoms soon subsided and she recovered entirely. According to the Centers for Disease Control and Prevention, tick paralysis is caused by a toxin found within the saliva of ticks, and symptoms often disappear within twenty four hours of tick removal. Jessica Griffin, Kailyn’s mom, took to Facebook in order to post information and a warning about tick paralysis. In the post Griffin expresses the importance of checking children for ticks after they play outdoors. Since her daughter became infected in the state of Mississippi, Griffin thought it was necessary to mention that tick-borne diseases are not just a threat to people living in the northeast. Griffin’s post has since been shared by numerous people who found the girl’s story inspiring. Happily, Griffin’s warning did not fall on deaf ears. 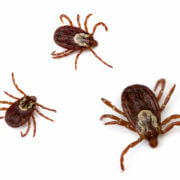 Do you think that social media is the best platform for raising tick-borne disease awareness?